Washington, April 13: A man in an electronic wheelchair-type scooter set his jacket on fire near one of the entrances to the White House and was hospitalized with what appeared to be non-life threatening injuries, the US Secret Service has said. 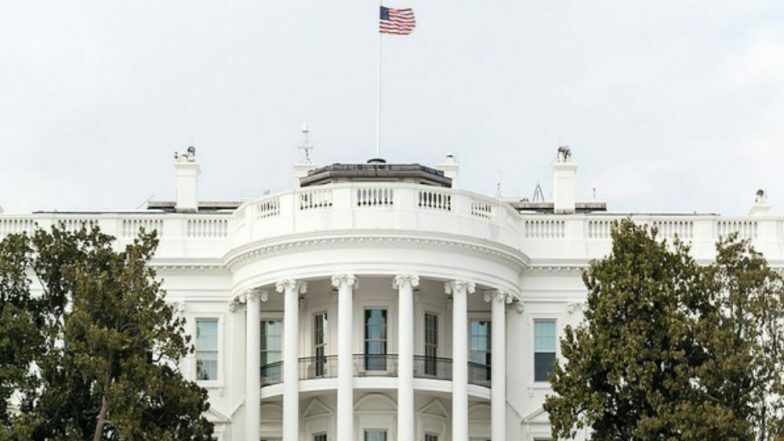 The incident occurred on Friday afternoon along the Pennsylvania Avenue outside the north fence line of the White House. USA: Man Tries to Set Himself on Fire Outside White House. "A male subject operating an electronic wheelchair-type scooter lit his outer jacket on fire while sitting along Pennsylvania Avenue outside the North Fence Line. Uniformed Division Officers immediately responded, extinguished the fire and rendered first aid," the Secret Service tweeted. The male subject was transported to a local hospital with "what appears to be non-life threatening injuries", it added. As a precaution, authorities barred pedestrians from the stretch of Pennsylvania Avenue and entirely blocked vehicular traffic on an adjacent street. Citing unnamed law enforcement sources, NBC News reported that the man had mental health issues. While President Donald Trump was inside the White House at the time of the incident, he was never in any danger, according to authorities. A man fatally shot himself outside the White House in March 2018. Trump and First Lady Melania Trump were en route to their Mar-a-Lago resort in Florida on that occasion. Donald Trump Tweets Video Edited to Suggest Ilhan Omar Dismissive of 9/11. In another incident last year, a woman apparently suffering from mental disorders crashed her vehicle into one of the security barricades that protect the presidential residence. In May 2017, the Secret Service detained a woman who jumped over a security barrier surrounding the White House.